Could Wild Trade For Dallas' Draft Pick? 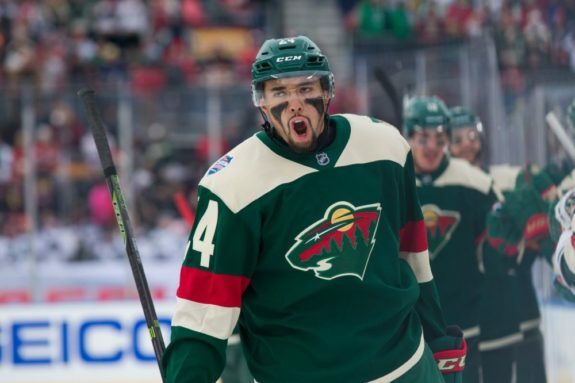 Could Wild Trade For Dallas’ Draft Pick? 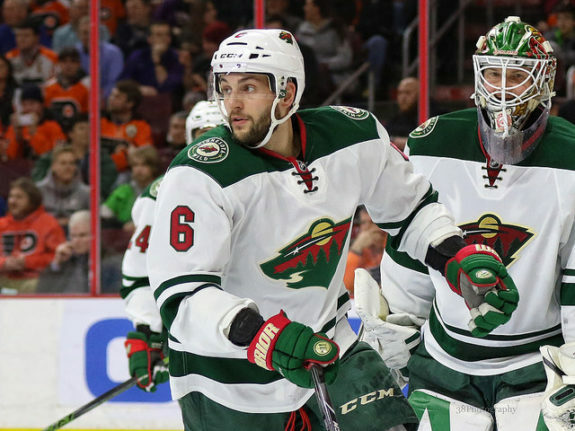 The Minnesota Wild are looking to make some changes to their team this summer. As Wild general manager Chuck Fletcher has already stated, he is “open for business”, so they will try to improve via trades and free agency. The Wild aren’t the only team looking to make some deals this summer. With a new team joining the league, along with an expansion draft, this is bound to be a crazy offseason in the NHL. According to Elliott Friedman of Sportsnet, the Dallas Stars are open to trading their third overall pick in this year’s draft and general manager Jim Nill has said that he wants a defenseman who makes a difference. 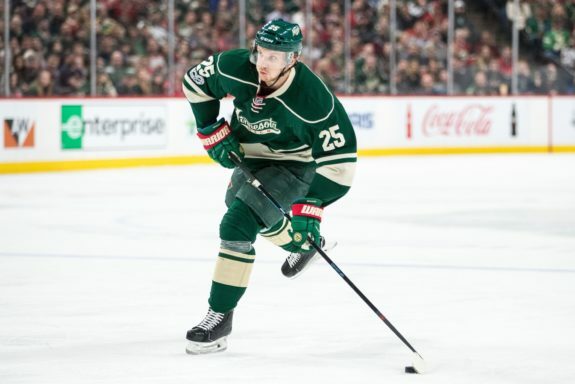 Is it possible the Wild have the defenseman that the Stars desire? The Wild have several young defensemen who could fill that role for the Stars. Ryan Suter and Jared Spurgeon are off limits, but Marco Scandella, Matt Dumba and even Jonas Brodin could be used to acquire that third overall pick from the Stars. Scandella is a talented blueliner who has skill and size — he’s 6′ 3″ and has a cannon of a shot. Despite having a down season this year in the ‘State of Hockey’, posting just 13 points in 71 games, he was arguably the best defender for the Wild in their five game series against the St. Louis Blues. An offensive talent, Matt Dumba is entertaining to watch. He brings speed, toughness, and offensive production to the blue line. He has been known to make mistakes due to his aggressiveness by jumping into the offensive forecheck, but overall he’s continued to grow as a defenseman. He’s also coming off a career year with the Wild, posting a career high 11 goals this year long with 23 assists. Brodin isn’t known for his offensive capabilities, but is a stout and reliable defenseman in his own right. For the past four seasons, he’s been one of the Wild’s most consistent and reliable defensemen in almost every situation. He’s calm with the puck, skates very well and is a tremendous penalty killer — not to mention he’s still just 23 years of age. If the Wild were to deal one of these d-men to the Stars for the third overall pick, who would they draft? With Martin Hanzal likely departing they will likely look to add another center. Fortunately, there are a couple of intriguing options who should be available third overall. The Minnesota native would be an interesting pick. He’s projected to go inside the top 10 and that comes as no surprise — he dominated the high school ranks with Eden Prairie, notching 65 goals and 170 points in three seasons. He’s a tremendous puck handler and has an excellent shot. Vilardi has excellent size at 6′ 2″ and over 192 pounds and he skates very well for that size and makes excellent decisions with the puck. He was a key contributor for the Windsor Spitfires of the OHL this season, scoring 29 goals and 61 points in just 49 games. He also added two goals and six points in seven playoff games. It’s too early in the offseason to know if this is something Chuck Fletcher would actually pursue. There are a million different scenarios going through his mind right now and things likely won’t become clear until we get closer to the expansion draft. The pieces are there for a deal like this to take place — the Stars are willing to deal the third pick, and the Wild have the assets to acquire that pick.